Franko is very excited to have met with the living legend, Penny Arcade. Exhibition open 6th May - 5th June 2011, Friday - Sunday, 1:00 - 5:00 pm. 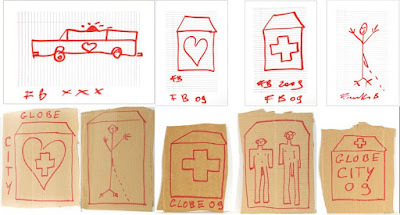 2nd June: First Thursday event - Franko B will discuss the theories and concerns which inform his work and the diverse range of approaches he takes to producing art. There will also be a screening of a documentary accompanying his recent solo exhibition in Milan. Doors will open at 6.30pm for a 7pm start. Following the talk, the exhibition will stay open until 9pm. I STILL LOVE is Franko B’s first solo exhibition in London for seven years and features a new series of embroidered canvases, never before shown in the UK. The canvases, which depict animals, flowers, portraits and the male body, as well as images of torture and war, return to the central themes of Franko B’s work – death, eroticism, intimacy, pain and compassion. These recurrent motifs find a delicate new means of expression through the exclusive use of red cotton on unprimed canvas. A bold, eclectic artist, and for many years a leading figure on the international performance art scene, Franko B continues to celebrate and express the beauty of existence in his work, focusing on powerful and emotive imagery. I Still Love follows on from the artist’s recent solo exhibition at PAC (Pavilion of Contemporary Art) in Milan. A selection of limited edition and original artworks by Franko B are available to buy now, exclusive to Globe Gallery. In 2009, Pacitti Company commissioned a collaboration between photographer Manuel Vason, designer Justin Weyers and 22 contemporary maverick artists from around the globe to each restage a tarot card. 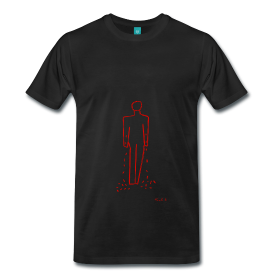 The result is a limited edition SPILL Tarot Pack. The images feature Ron Athey, Marisa Carnesky, Franko B, Raimund Hoghe, Robert Pacitti, Lois Keidan, Lee Adams, Carla Esperanza Tommasini, Sheila Ghelani, Oreet Ashery, Rajni Shah, Noblesse Oblige, Vaginal Davis, Grace Ellen Barkey, Harminder Judge, Kira O'Reilly, Helena Hunter, Empress Stah, Dominic Johnson, Julia Bardsley, Manuel Vason and Yann Marussich. 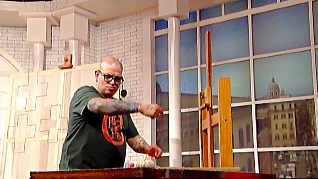 Franko B was special guest on Art News, broadcast nationally in Italy on RAI 3, 16th April 2011. Franko B will perform I'M THINKING OF YOU at Montpellier Danse festival, 27th June 2011. Click here for tickets and further details. Franko B performance at Fraternise - The Salon - Group show at Beaconsfield, London. Exhibition open until 29th May. 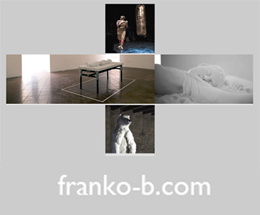 Franko B will be in conversation with writer and curator, Michele Robecchi. Discussion will focus on the theories and concerns that inform Franko's work and the diverse range of approaches he takes to producing art. 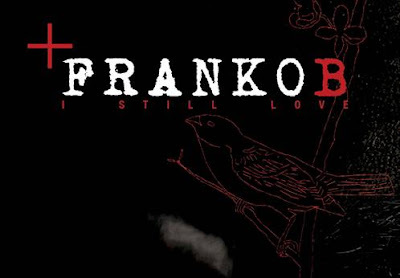 The talk will take place at The Nunnery Gallery, London, as part of Franko B's solo exhibition, I STILL LOVE. The event (15th April) includes a live performance from world famous artist FRANKO B and installations by Chris Dreier & Frank Lohmeyer (Berlin), Ben Jeans Houghton (Newcastle), and Paul Grimmer (Newcastle). There will also be refreshments and a DJ. To confirm your attendence, please download your free ticket. Globe would like to invite you to contribute to Globe's major new arts venue in the ex Co-operative Bank in Blandford Square, Newcastle city centre. This event offers you the opportunity to see the old Co-op Bank in a raw state with access to the vaults, safes and counters but in place of bullion, you will see a range of artwork produced by regional, national and international artists who are the backbone of the organisation, providing thousands of people with great experiences for more than 16 years.